David C. Levy, President of Sotheby’s Institute of Art, today announced the appointment of Christine Kuan, currently Chief Curator and Director of Strategic Partnerships at Artsy, as the new Director of the Institute’s New York campus. Kuan’s appointment to lead the New York campus of the 46-year-old Institute reaffirms the school’s ongoing commitment to creative leadership and innovation in the education of art professionals. 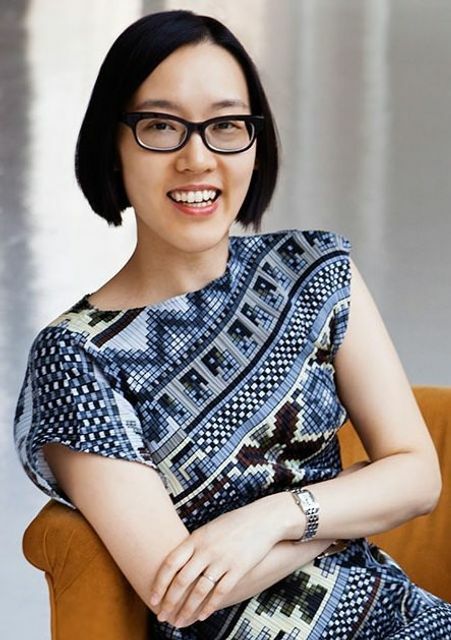 During her tenure at Artsy, a premier online platform for learning about and collecting art, Kuan transformed users’ access to art by establishing partnerships with 600 of the world’s most influential museums and institutions and launching Artsy Auctions, creating the first unified educational and commercial online resource of this scale. She also oversaw the organization’s relationships with artists’ estates and foundations, digital collection strategy, open access policy and educational projects. These initiatives have been instrumental to the success of Artsy, which has reached millions of art lovers and collectors in 190 countries since its launch in 2012. As Director of Sotheby’s Institute of Art – New York, Kuan will be responsible for spearheading new academic programs, seeking out and inviting the most interesting and qualified artists, gallerists, curators and art professionals as faculty and lecturers, while building new partnerships that will augment its educational impact and career opportunities for its graduates. As Sotheby’s Institute of Art expands and as its alumni continue to take leadership positions at arts organizations around the world, Kuan will spearhead the continuation of imaginative and relevant programs at its New York campus, building new relationships with art museums, galleries and organizations worldwide. Prior to Artsy, Kuan was Chief Curatorial Officer and Vice President for External Affairs at Artstor, a nonprofit image library founded by The Andrew W. Mellon Foundation, and former Editor-in-Chief of the landmark scholarly art encyclopedia Oxford Art Online/Grove Art Online at Oxford University Press. She has also worked at The Metropolitan Museum of Art and served as a lecturer at the University of Iowa, Peking University and Rutgers University. Given her extensive experience and insights into the overlapping worlds of art education and commerce, she possesses a unique perspective that aligns with the Institute’s goals and key objectives. Sotheby's Institute of Art is an institution of higher education devoted to the study of art and its markets with campuses in London (UK), New York City and Los Angeles (USA). The Institute offers full-time accredited Master's degrees as well as a range of postgraduate certificates, summer, semester and online courses, public programmes and executive education.